It’s the time of year when boat heads can start to get a bit funky, so in the interests of family harmony, it may be wise to grab this deadly duo of odor-killing potions from Raritan. Stage One—attack the toilet bowl and surrounds with C.P. (Cleans Potties) Marine Toilet Bowl and Drain Cleaner, whose bacteria-killing powers do not rely on nasty chemicals but will leave the head and its environs a much nicer place. Stage Two—give the holding tank a hefty dose of K.O. (Kills Odors). Also chemical-free, K.O. relies on its bioactive ingredient to break down waste and neutralize those cruise-killing aromas. 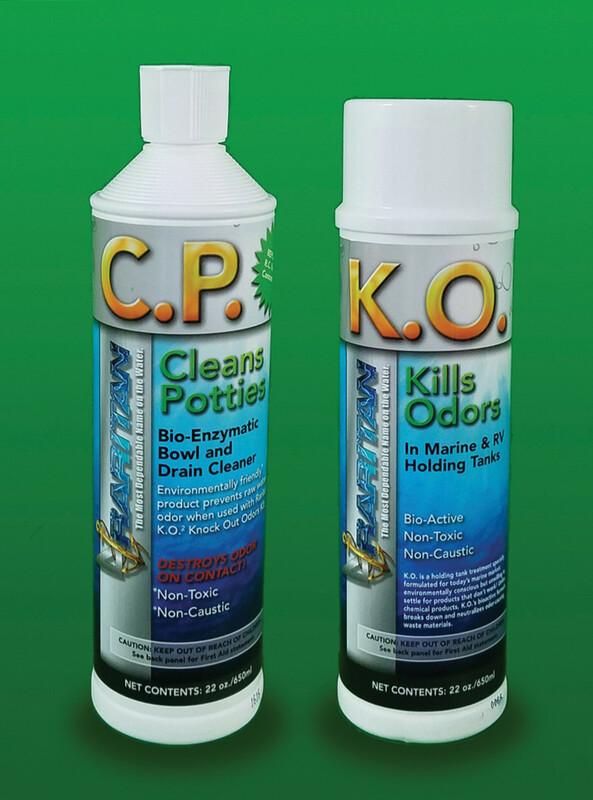 Between the two of them, your boat should be rendered odor-free in next to no time.